This post covers the steps on how to install Bind DNS server on CentOS 6.3. Bind is the most popular software and the most widely used Domain Name System (DNS) software on the Internet for providing DNS services. The name BIND stands for “Berkeley Internet Name Domain” and it’s an implementation of the DNS protocols. 3. Add example.local zone below to named.conf. This is main configuration file for bind dns server. BIND Utilities is not a separate package, it is a collection of the client side programs that are included with BIND-9. The BIND package includes the client side programs nslookup, dig and host. fedora16.local mail is handled by 10 mail.fedora16.local. DNS is the Domain Name System that maintains a database that can help user’s computer to translate domain names such as www.ehowstuff.com to IP addresses such as 184.173.214.97. DNS on CentOS and Fedora is based on the named daemon, which is built on the BIND package developed through the Internet Software Consortium. (More information is available from the BIND home page at www.isc.org/products/BIND.) However, these are RPM packages associated with DNS. But not all required to build Bind Chroot DNS Server. bind Includes the basic name server software, including /usr/sbin/named. bind-chroot Includes directories that isolate BIND in a so-called “chroot jail,” which limits access if DNS is compromised. 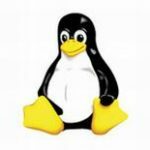 In this post, i will guide you on how to install and configure Bind Chroot DNS server on linux Fedora 16 server. Bind is the most popular software and the most widely used Domain Name System (DNS) software on the Internet for providing DNS services. The name BIND stands for “Berkeley Internet Name Domain” and it’s an implementation of the DNS protocols. In this post i will show the steps how to install and configure Bind 9 DNS service on linux CentOS 6.2 64 bit server. 3. Add example zone below to named.conf. named.conf is main configuration file for bind dns server. 5. Configure /etc/resolv.conf to point to this bind dns server (192.168.1.20). In this post, i will show you on how to configure Bind Chroot DNS Server on CentOS 6.2. Assumed that you have installed Bind Chroot DNS. In this post, i will guide you on how to install Bind Chroot DNS server on CentOS 6.2. DNS is the Domain Name System that maintains a database that can help user’s computer to translate domain names such as www.ehowstuff.com to IP addresses such as 184.173.214.97. DNS on CeentOS is based on the named daemon, which is built on the BIND package developed through the Internet Software Consortium. (More information is available from the BIND home page at www.isc.org/products/BIND.) However, these are RPM packages associated with DNS. But not all required to build Bind Chroot DNS Server. bind Includes the basic name server software, including /usr/sbin/named. bind-chroot Includes directories that isolate BIND in a so-called “chroot jail,” which limits access if DNS is compromised. bind-devel Includes development libraries for BIND. bind-libbind-devel Contains the libbind BIND resolver library. bind-libs Adds library files used by the bind and bind-utils RPMs. bind-sdb Supports alternative databases, such as LDAP. Per the Red Hat Exam Prep guide and course outlines, I see no evidence that such relationships are covered on the Red Hat exams. bind-utils Contains tools such as dig and host that provide information about a specific Internet host. It should already be installed in any minimum installation of RHEL. caching-nameserver Includes files associated with a caching nameserver. system-config-bind A GUI configuration tool useful for adding host and reverse address lookup data. It’s not officially a part of the DNS Name Server package group.